We often neglect the maintenance of our awnings. However, their cleaning and general care will extend their lifetime. Be sure to keep your awnings clean. In this way, you will prevent the fabric from rotting. It is advisable to remove the stains as soon as possible. Whatever may fall on your awnings, like ash, bird droppings, leaves, cigarette butts, or even small pieces of cement, from adjacent buildings, may, in combination with the weather conditions, erode the quality of the fabrics. Also, stains that have been left on the fabric of the awning cover for more than a year, may turn into mold. Rainwater stagnated on the awnings is equally destructive. That tightens and decays the yarns of the fabric, and also creates mold or stains. So, if you notice traces of dirt on your awnings, here’s what you have to do: First and foremost, the fabric is cleaned when it is dry. Dust and spots are removed with gentle brushing and, what’s left, with a hoover. Use a brush or a home wooden broom to wash them and remove the stains only with cold or lukewarm water (30-40˚C). Avoid using warm water, as it may shrink the fibers of the fabric, and if the stains are very stubborn, try a neutral detergent that you will rinse off well. Be sure to remove tree leaves and branches, because, during their decomposition, they will leave stains, which may be difficult to remove. To avoid seeing these awful spots of mold or dirt on your awning, and to keep it clean for longer, apply a transparent, liquid silicone material, which can be found as a spray or a paint at paint stores. 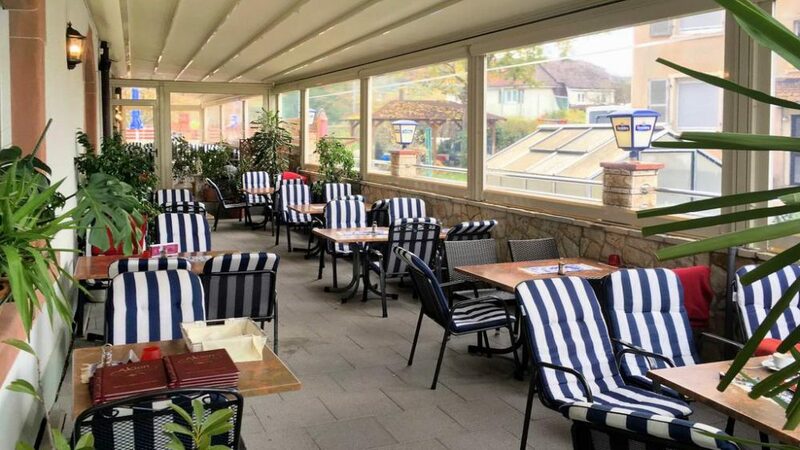 This way, a waterproof coating is created, which protects the awnings from damage, and prevents the raindrops that penetrate the cloth, usually through the seams, and fall in the interior part of the covered place. Remember that this work should be done when the fabrics are completely dry, and then they should be left open to dry in the sun all day. It is equally important to repair tearing and minor damages immediately, because they will get worse really soon, and, in no time, your awning will have to be replaced. If the fabric has a hole, cover the hole by sewing a piece of the same fabric on it (if you are thoughtful and have kept some) or a piece of canvas, which should be a little bigger than the hole, so that it can be mounted better. In the case that the awning has a loose thread, correct the damage by sewing the problematic point with a bodkin and a waxy string. 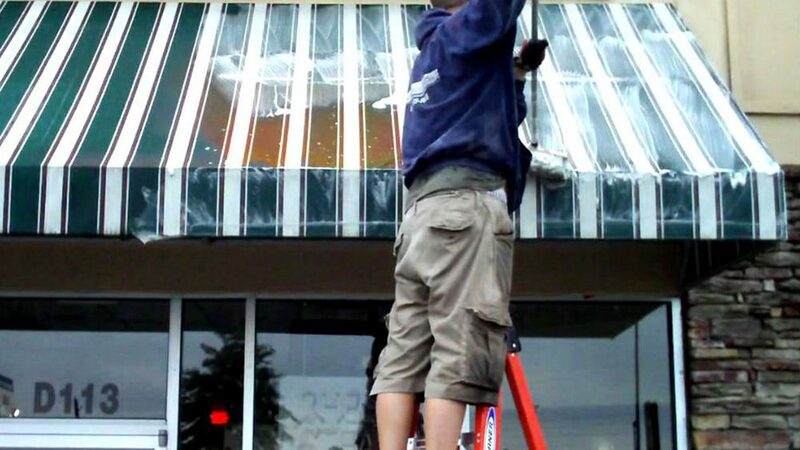 You should also check the metal components for rust marks, which will prevent the awning from functioning properly. If you notice anything, paint the rusty spots after rubbing them with some wire, or, preventively, rub the joints with oil. Avoid rolling up your awning when the cloth is wet or there is ice on its surface. In the case of strong winds or heavy rain, though, the tent should be rolled up, as its arms may break. Finally, after the rain, roll out your awnings to dry.